The other day I shared some wreaths that I used for a little inspiration as I brained stormed ideas for our front door this fall. 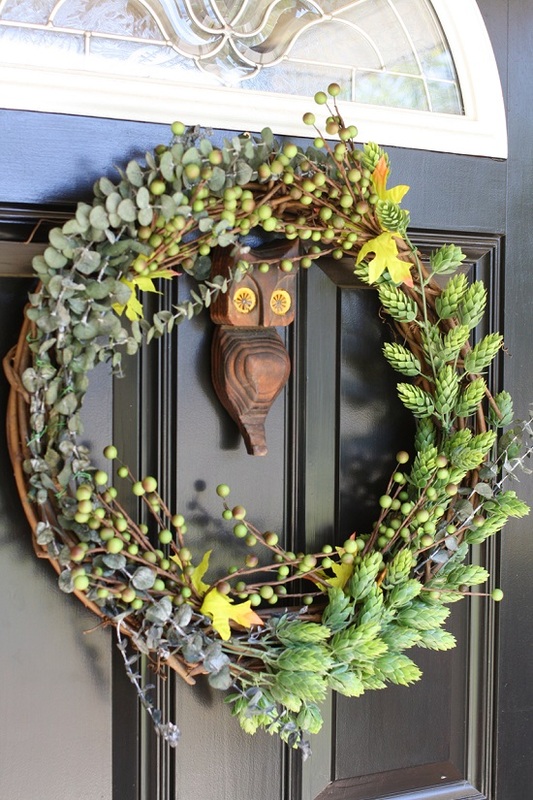 I love a door with a good wreath on it and it’s something I kind of look forward to each new season. It doesn’t have to be expensive, especially if you make it yourself! I gathered some supplies from Beverly’s for cheap! 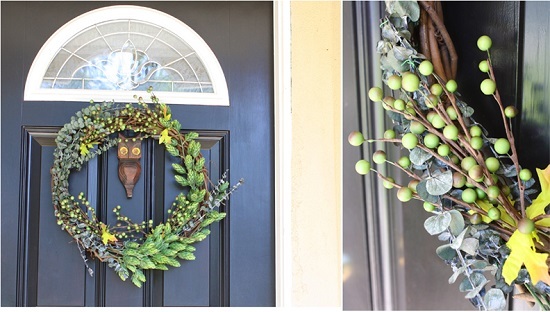 I was really attracted to the wreaths that were natural and simple, so I kept it basic. I loved the idea of keeping one color, but different textures. I included eucalyptus because the smell is so comforting and peaceful. You kind of get a whiff of it each time you open the door! I also included some green berries and a beautiful hops hanging bush. I simply used green wire to attach my greenery to the wreath. I wanted it to blend nicely, but also not be too predictable. I decided to keep most of the eucalyptis to one side and the hanging bush on the other. I used the green berries to bring it all together and I think the finished product was perfect! I added our vintage owl as a fun element. It works perfectly with the colors and gives it a nice autumn feel with the textured dark wood. The size of the wreath is big, open and stands out from our black door! I am so happy I decided to make my own wreath, not only to save money, but to have something truly unique and suitable to our style. 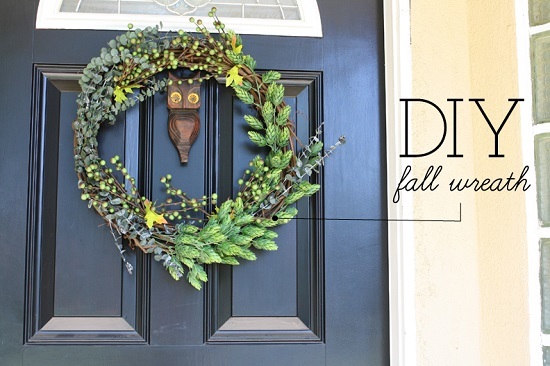 What do you think of our new fall wreath? Do you like the natural look or do you prefer another style?